Sebastian Alvaréz is just trying to hold the pieces together: to not flunk out, to keep his sort-of-best friend Wild Kyle from doing something really bad, and to see his beloved Ma through chemo. But when he meets Birdie Paxton, a near-Valedictorian who doesn’t realize she’s smoking hot in her science pun T-shirt, at a party, an undeniable attraction sparks. And suddenly he’s not worried about anything. But before they are able to exchange numbers, they are pulled apart. A horrifying tragedy soon links Birdie and Bash together — but neither knows it. When they finally reconnect, and are starting to fall — hard — the events of the tragedy unfold, changing both their lives in ways they can never undo. 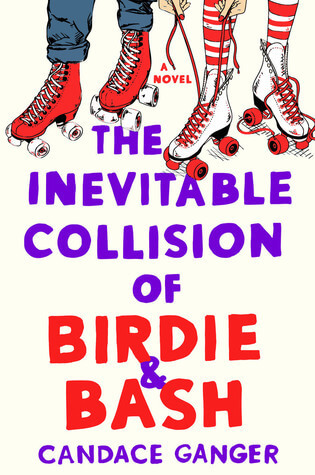 Told in alternating perspectives, The Inevitable Collision of Birdie & Bash by Candace Ganger is a beautiful, complex, and ultimately hopeful teen novel that will move you to the very last page.